Alanda October 10, 2017 Leave a Comment This post may contain affiliate links. 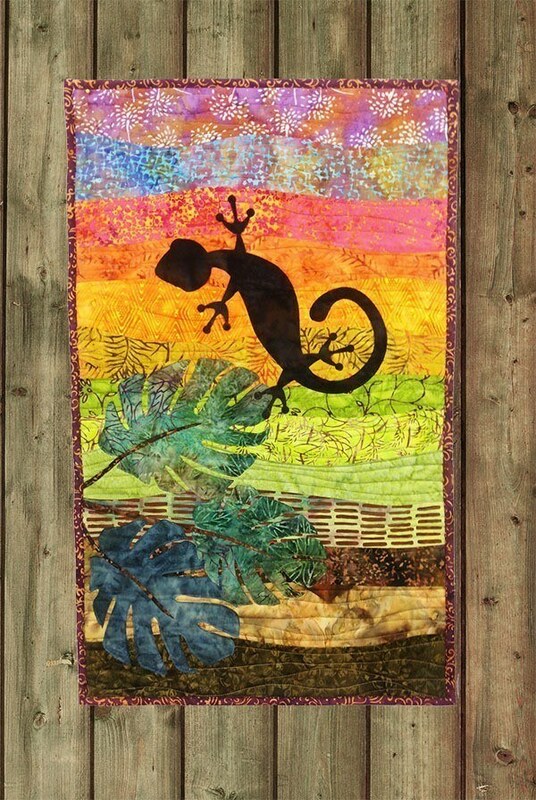 In our online training course we show you step by step ‘How to Create Your First Art Quilt’. Creating an Art quilt is such a lot of fun to do. You can let your imagination and creativity run free. But sometimes it’s hard to know just where to start. So, that’s why we created a training course to help you get started. In our training course we take you right through the process, from start to finish. We show you how to choose your fabrics, how to cut and sew your background and how to quilt your background (and no, you don’t need to know how to free-motion quilt for this art quilt). Plus, you will also learn how to prepare, cut and sew your applique and how to finish your quilt with binding and pockets on the back so you can hang your piece of art on the wall. This quilt design makes for a lovely wall hanging, a table runner and you can even incorporate the design into a lovely modern quilt.